Fun Activities that burn calories can include riding a bike, swimming, playing sports, going for a hike, motorcycle riding, and even going to an amusement park. So enjoy the outdoors while shedding those extra pounds! 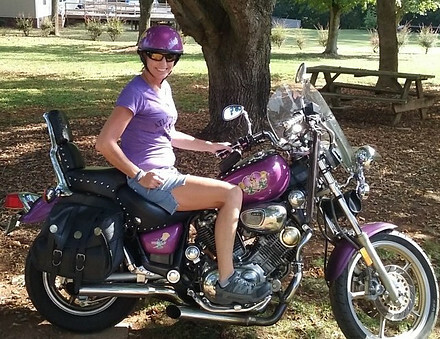 My fun activities that burn calories include riding my 1986 1100 Yamaha Virago. It is one of my favorite things to do. When I ride, I’m stress free and relaxed. I don’t get hungry very often because the ride takes my mind off of eating. Ride up to that state park and go for a little hike while your out. You can burn even more calories and then cool down during the ride back home. Storm on the mountain…. I was on my bike during this wind storm! No, you won’t burn a ton of calories riding a tour bike, but it’s fun and keeps you focused on something other than your hectic life style during the week. 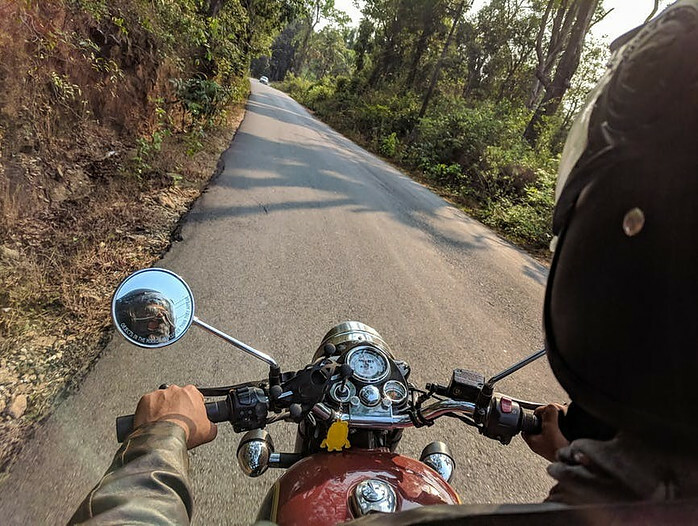 Motorcycle riding requires upper and lower body strength to keep the bike upright, steer it, back it up when parking, and in general just maneuvering it through different places you travel. 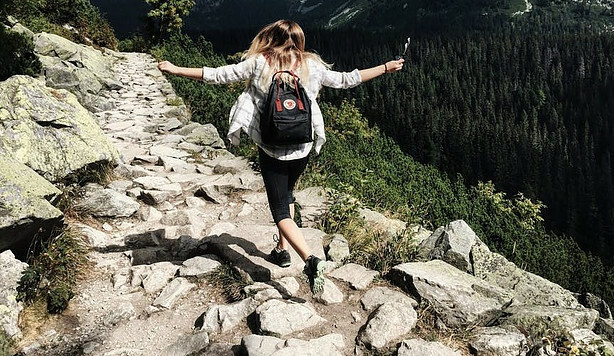 The number of calories burned hiking depends on your body weight. In general, a 160-lb person can burn between 430 and 440 calories per hour. 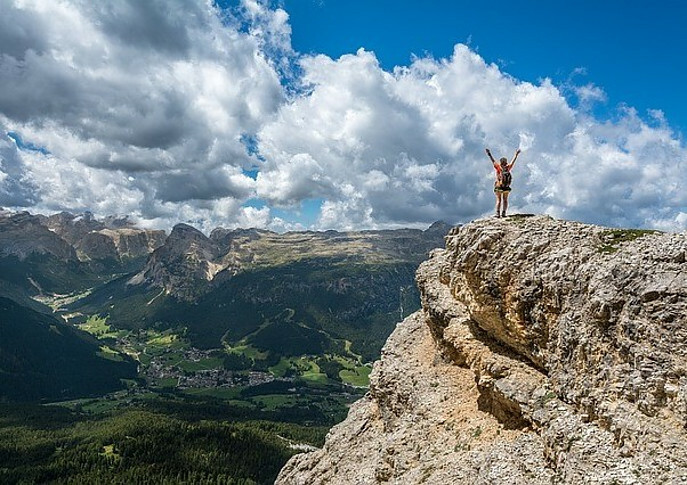 A 200-lb person burns approximately 550 calories per hour of hiking. There are place to go, things to do, beautiful scenery to see, and great experiences to explore outdoors. 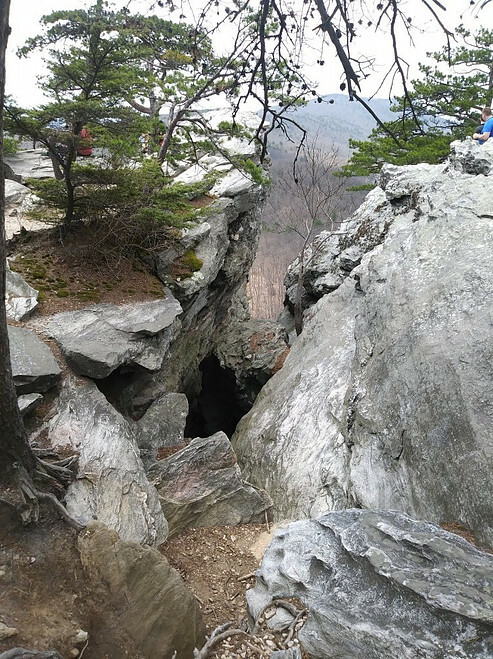 North Carolina has several state parks such as Hanging Rock in Stokes County NC, Pilot Mountain in Mount Airy NC, and Stone Mountain in Roaring Gap NC. Those are just some of my favorite places to go. There are many others. Hanging Rock offers picnic grounds, a lake for swimming and canoe rentals and more than 20 miles of hiking trails with beautiful views that run alongside clear streams and waterfalls. They also offer 73 campground sites. Dan River can be accessed near Hanging Rock. Great for tubing, or riding bikes along the 8.4 miles of mountain biking trails and then there is rock climbing opportunities with permit. 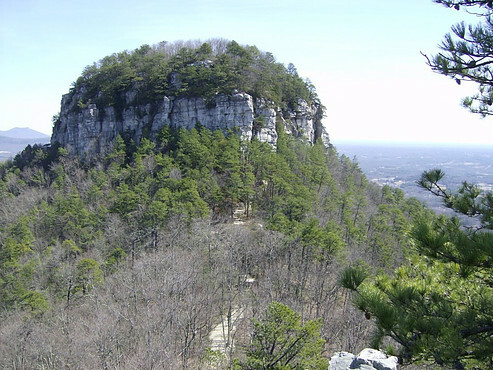 Pilot Mountain is more than 2000 feet high and has been a landmark for centuries seen from highways for miles and miles. It offers a lot of intermediate trails, camping, climbing and spectacular scenery. 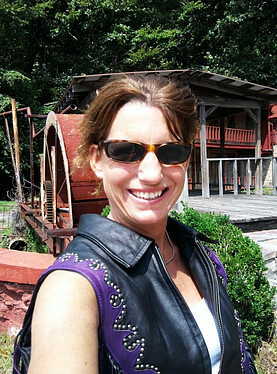 You can visit the connected 6.5 miles of trails along the Yadkin River. The family camping grounds consist of 49 sites by the riverside. Rock climbing and rappelling are allowed on portions of the park’s steep cliffs. Stone Mountain consist of a massive mountain topped with a large granite dome. This park offers camping, hiking, climbing, fishing, picnicking, horseback riding and more. There are more than 18 miles of trails and 20 miles of trout waters in this park that spreads below the Blue Ridge Parkway. The campgrounds offer 90 sites, some including utility hookups. 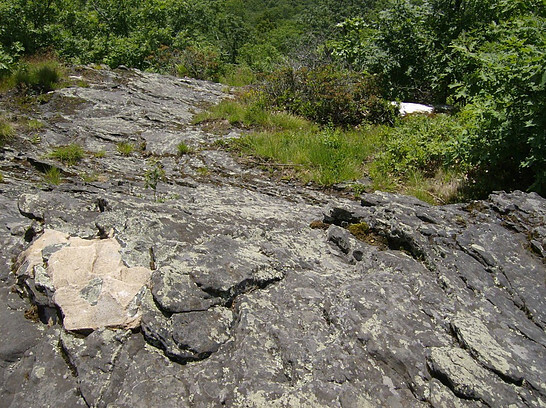 Rock climbing is allowed by permit on the towering, 600-foot granite face of the mountain. This park even offers large shelters for reunions and community gatherings. You can burn up to 900 calories in an hour just by going Swimming! Imagine walking around an amusement part and riding rides all day how many you will burn. 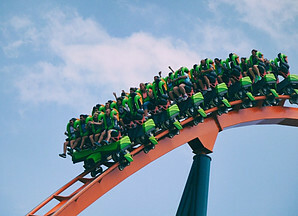 Those rides will speed your heart rate up causing you to burn calories faster. Join a Mud Run like the one in the video below. “Marine Corps League Mud Run”. Burn lots of calories and have fun doing it! It’s also a charity event and they do them all over the world for different causes. So you will be helping others while your helping yourself. Me and some friends did it! 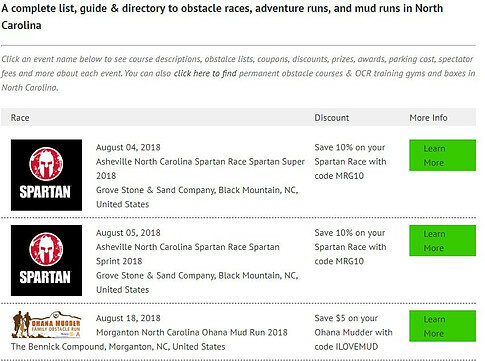 Fun activities that burn calories like these mud runs can help you achieve your weight loss goals, lose unwanted calories, get in better shape, be social, and above all else it can make you feel Great for helping out the community! During a 5 K Mud Run Obstacle Course depending on your weight; if you are 150 pounds and the obstacle course is about 60 minutes long you can burn up to 552 calories! Click on this link, choose your exercise and enter your weight and how many minutes to see how many you can burn. Type in “Running, race/event” in the exercise box for “Mud Run even”. Be social and join a soccer team! Playing soccer can be one of those fun activities that burn calories. 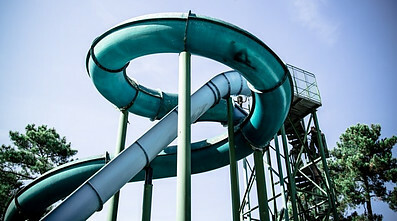 You can burn tons of calories, (up to 700/hour) and have a blast doing it! 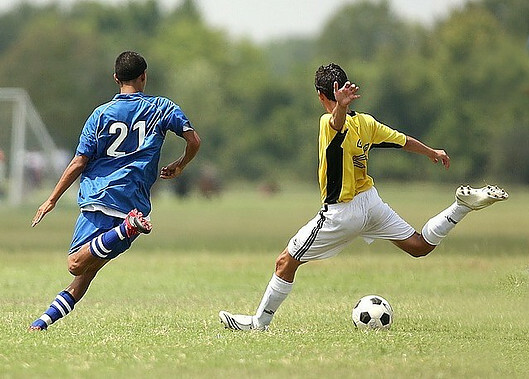 Almost every muscle group is used when playing soccer. Depending on the position you play on the field plays a role in how many calories you will burn. The goalkeeper will burn calories at a lower rate because of the constraints of his position. Midfielders, are apt to burn a higher number of calories because of the amount of field they cover. According to Harvard Health Publications and LiveStrong, people who weigh 155 and 185 pounds burn about 260 and 311 calories during a 30-minute session of playing soccer. CLICK HERE and shop at eBay for great deals! I hope this post helped give you some ideas of fun things to do while still burning calories. Exercise doesn’t always have to be in doors. Bring it outdoors in the fresh air and sunshine. Enjoy nature, hobbies, sports, and charity events while you still can. All of those are important aspects of a long and healthy life. It’s not all about fitness and diet, although I have this great post you may be interested in for “Super Foods that Burn Fat“, for after you’ve had your fun for the day. Play hard, live life, be healthy, and enjoy life! Please leave any comments you have below. If you want to share some Fun Activities That Burn Calories I’d love to hear about it! Find out how to find great key words like mine; Fun Activities that Burn Calories, at Jaaxy! PreviousBest Love Handle Workouts – EASY! Best Love Handle Workouts – EASY! Thanks for visiting my site. Please leave comments or feedback. Do you do fun activities that burn calories? Please share it with us here, in the “Leave a Reply” box. I love going for walks through the state and national parks near where I live. 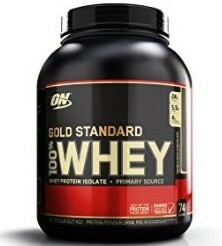 It keeps you active and the side benefit is losing a little weight. Most people don’t even take advantage of the parks that right near them. I know I haven’t until recently. Riding a bike lets you see more in a shorter period of time too. Good suggestions and good for the cardio too. Thanks for visiting my site. Yes, nature is pretty awesome so why not take advantage of the parks available to us. Hiking is great exercise and you get fresh air too. I love to take back roads when I ride my motorcycle. It’s more scenic, more relaxing, and probably a lot safer. Wow I love this site! 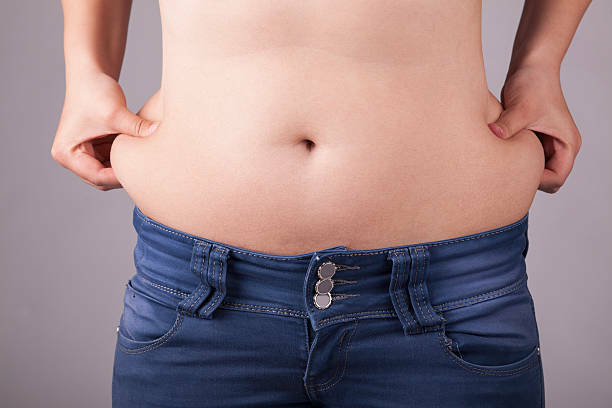 you provide concrete examples and testimonies on how to burn calories. everything looks so fun. This site goes to show that you can have fun and burn calories all at the same time. Thanks for the information. Very inspiring! So glad you stopped by for a visit! I’m glad you found my post exciting. I strive to be informative and inspiring. It’s always a good idea to keep exercise more entertaining. When it’s always the same routine people seem to get burned out and lose interest faster. I hope you visit again soon. I would never have thought of going for a motorbike rude to lose some fat, if I let my wife read this maybe she would let me buy a motorbike. 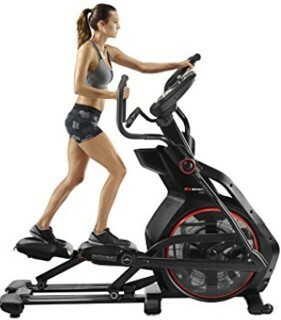 I have a bike that works on peddle power thats good for burning calories, my favourite activity is running and it sound like some of the places you mention would be alright for this. 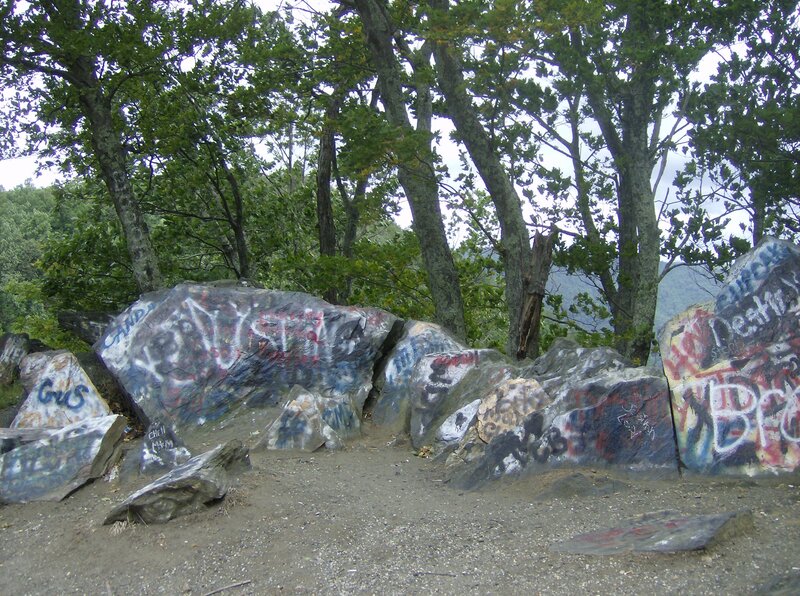 The hanging rock picture looks really nice, I bet it looks even better when you are actually there. Yes, I was surprised that riding a motorcycle burned any calories as well. Not many, but some is better than none. You would certainly burn more by riding a bicycle. Hanging rock is beautiful. We go there a lot. It is the closest state park to me. Thanks for visiting. Please stop back by again soon. Great content and suggestions. I love the bike riding and didn’t realize that you can burn quite a lot of calories just doing that! I do like the way you actual estimate the amount of calories you use per activity – that is useful. Wow, a lot of calories burnt up with soccer. Mud run seems very interesting and a lot of fun. I have never done that before. I subscribe to exercising outdoors in the sunshine too and I loved that about your activities, they are all outside and look like a lot of fun too! Thanks for visiting my site. I’m glad you enjoyed my post. 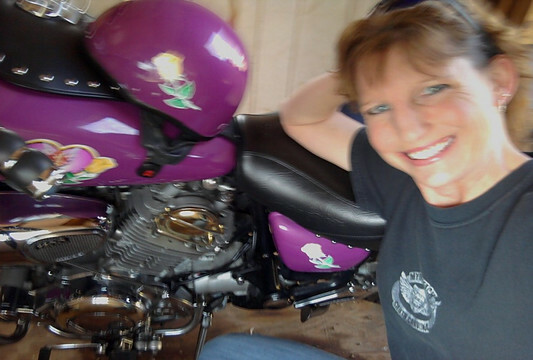 I’ve been riding motorcycles since 2006 and love it. I don’t like to ride when it’s cold outside, but other than that, I’m on it. Mud runs are a lot of fun! Very muddy, but fun. They do have outdoor showers at the end of it and most people throw their shoes away, leaving a huge pile of old muddy shoes in the field for someone else to take care of. I advise you to try it some day. Exercising during the day is definitely the way to go. It’s a lot more enjoyable. Please stop by again soon. Very interesting! I’ve been looking for something like this ” fun and burn calories”. 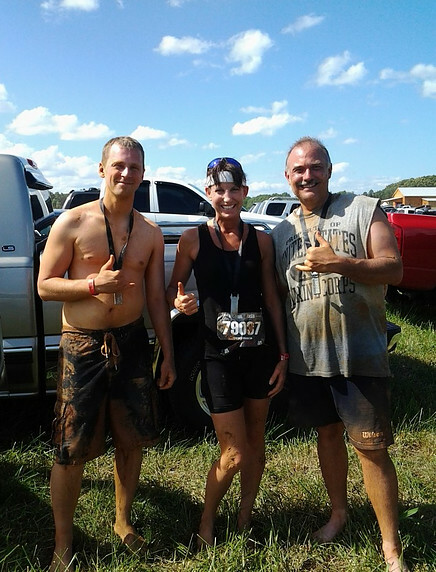 I have heard a lot about Mud Run, but I had never tried it before. I live in Northern Texas and not sure where to join the group. I love driving a motorcycle in the rain too. And burn some calories. I hope this helps. If you ever do it, I’d love to hear about your experience.